According to a report from Esurance, 58 percent of drivers admit to engaging in distracting behavior behind the wheel. Surprisingly, drivers in that group were 36 percent less likely to feel concerned about this dangerous behavior. What Are the Top Driver Distractions? The survey showed that people who have lengthy commutes to and from work are the most at risk for distracted driving. Those with long commutes have more than double the risk of using their phones, listening to music, or fiddling with their GPS devices than those with shorter daily drives. How Do Semi-Autonomous Tech Improvements Impact Distracted Driving? Having cameras work together with your electric power steering to observe the lane markings and keep you in the middle of your traffic lane. Although these safety features can make the roads safer, there is a downside. If you think your car will always protect you from an accident, you might feel that you do not have to be as careful when driving. Unfortunately, the current tech features in cars do not prevent all collisions. Using them as a crutch to excuse distracted driving might increase the number of crashes, rather than lower them. Built-In Technology Can Be a Distraction. According to Esurance, some of this tech becomes a distraction for drivers. On average, drivers with these semi-autonomous safety features tend to be a little more distracted than those who drive vehicles without such features. Vehicle technology can make our roads safer, but only if we do not expect the gadgets to do things beyond their capacity, such as prevent all crashes. Esurance advises that we need to keep the devices enabled and use them as designed. Will Self-Driving Cars Cut Down on Distracted Driving? With more self-driving cars in development, you might wonder what the roadways will be like five or 10 years from now. Surprisingly, there might not be as drastic a change as one might expect. Current surveys indicate that 83 percent of today’s drivers do not want to own entirely self-driving cars. Two-thirds of us object to having our cars monitor or restrict distracted driving behaviors. These two statistics indicate that we are not ready to give up all the control of our vehicles. 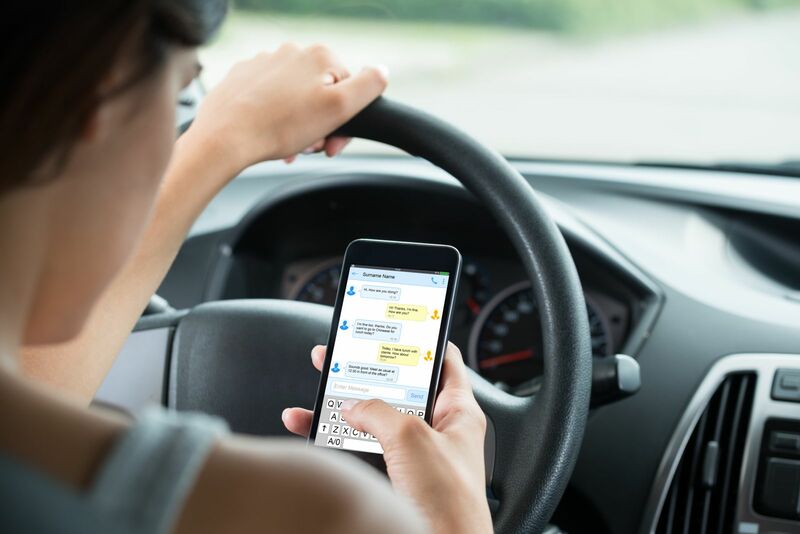 If you are having trouble avoiding distracting driving behaviors, try these tips to keep your eyes on the road while you are behind the wheel. Do not have your phone within reach. Toss it in the back seat or silence the notifications and position it so you cannot see the screen. Do Not Adjust Your GPS While Driving. If you plan on using a GPS device, select your route and destination before starting the drive. Do not try to make adjustments while you are en route to your destination. Avoid eating, drinking, putting on makeup, or adjusting the music controls while driving. If there is an urgent situation or you absolutely need to handle something, such as to take an important phone call or keep the kids from fighting, find a safe place to pull over and then deal with the issue. If You Were in a Distracted Driving Crash, Call Max Meyers Law Today. If you were in a car accident in Washington and you believe the other driver was distracted, call Max Meyers Law today. We can help you prove a distracted driver caused your accident and request damages on your behalf. Call us at 425-399-7000 for a free consultation.